A woman in her late 20's is always asked "when are you going to get married?" On a whim, the woman then lies that she did get married. 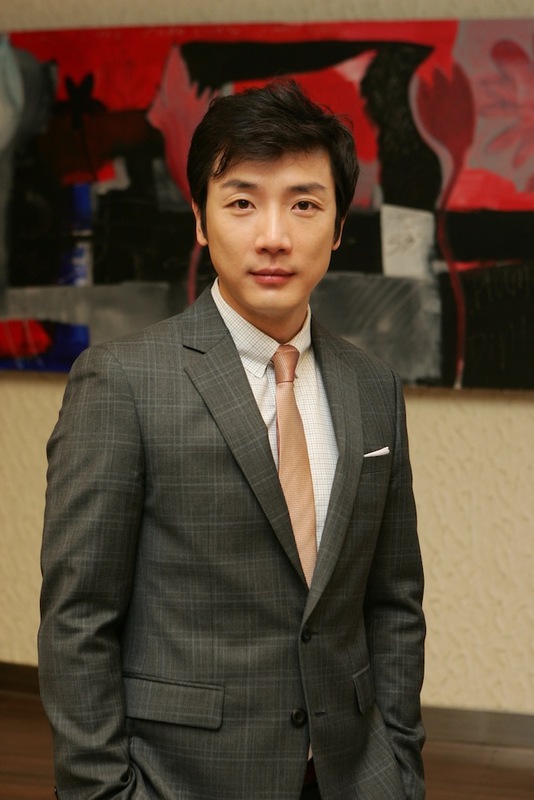 Meanwhile, Hyun Ki-Joon (Kang Ji-Hwan) is the president for conglomerate "World Group." He is handsome, smart and from a rich family. But, in his teen years due to an accident he lost both of his parents. Since that time, Ki-Joon and his younger brother were raised by his aunt. 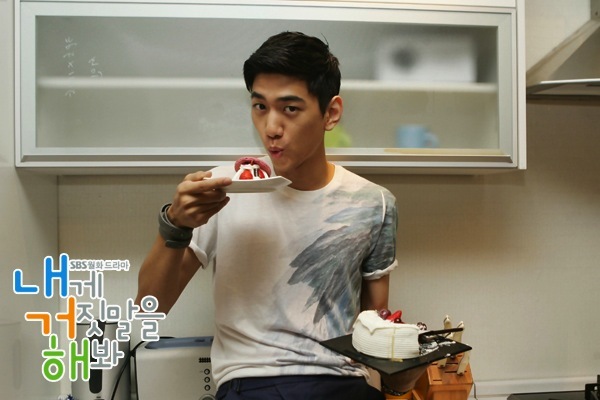 Ki-Joon has a responsible character as an older brother but his younger brother Sang-Hee (Sung Joon) is more carefree. The younger brother Sang-Hee then comes back to Korea and meets Ah-Jung at the club, while she is drinking away her sorrows. Ah-Jung and Sang-Hee start to chat and Ki-Joon shows up to looking for Sang-Hee. He misses Sang-Hee. in front of the club Ah-Jung passes out and Ki-Joon takes her to the hospital. In order to ask Ah-Jung about Sang-Hee's whereabouts, Ki-Joon stays next to Ah-Jung's bed all through the night. The next day, they go their separate ways. Screenplay for "Lie to Me" was selected from a SBS screenwriting contest "SBS 드라마 공모전". "Lie to Me" will take over the SBS Monday & Tuesday 21:55 time slot previously occupied by "Midas" and followed by "Warrior Baek Dong Soo" on July 4. Indira Nov 02 2018 3:02 am I felt in love with this drama will there be season 2 . D Aug 22 2018 7:04 am It was ok in the beginning and then it dragged on to the point of being absolutely horrible. The main lead girl was kind of ok in the beginning but then I progressively started disliking her more. She was weak minded and a pushover to the extreme. She kept friends around who obliviously didn’t even like her. They ended up with own twisted happy ending. It was just unbearable and deplorable. I kind of felt bad for the main lead ending up with her. I didn’t feel their chemistry either. It was strangely awkward and uncomfortable. Cute Mar 31 2018 8:00 am This is an amazing series. Feel good show. Dipta Dec 30 2017 1:21 pm Waste of time. The story is predictable. There is no twist. I started watching this dram for eun hye. But disappointed. monica Dec 04 2017 1:19 am I like Yoon Eun Hye's pretty face but she tends to overact sometimes. For instance in this drama when she had to speak English where she kept bowing and a facial expression that makes me cringe. I still like her though. annidaulya Nov 28 2017 2:08 am I am still rewatching this again and again... Really miss yoon eun hye in dramaland. Eve Tech Nov 08 2017 4:57 am I miss Yoon Eun Hye so much,I hope to see u again doing another romcom drama. Trexie Ann Nov 05 2017 4:10 am I am currently watching this drama and I love it. I miss Yoon Eun Hee so much. She's so pretty and the Kang Ji Hwan is so handsome also. I love it. Two thumbs up for this Drama. ashnor Sep 26 2017 9:15 am i have watched this several times, i really love this drama yoon eun hye and kang ji wan missed them what a chemistry they had hope to see u again doing another romcom drama. Artemis Jul 20 2017 12:07 pm I regretted the hours I've spent on this drama. It was so horrible that I had to write this comment here to save the whole world from the misery I went through. If you are here considering to start on this drama, please change your mind and find other better dramas. This one is just not worth anyone's time. In fact, I only watched this because of my OCD; that I had to watched the whole thing so I'd know how it ended. I'm sorry for this harsh comment but I'm just so frustrated! Julian Jun 15 2017 6:51 am Very interesting love story. I wish both kang ji hwan and yoon eun hye feature together in another romantic drama as couple, because both looks good together whether on-screen or off-screen.... Love you two. dido Jun 09 2017 2:21 am i just loved the story..and i love them both..you make me fall in love..hahah..great lovestory..very entertaining..nice chemistry for hyun gi-joon & gong ah-jung..looking forward to more romantic comedies from you both together..4 thumbs up!! Jesslin Oct 29 2016 7:33 am I have been rewatching this drama recently. Love this drama so much especially KJH and YEH chemistry including the storyline. They look so compatible whether onscreen and off screen. How I wish someone could cast them as couple in another drama again. Miss them so much. My favorite couple and best couple. From Malaysia. Emi Sep 08 2016 9:26 am I love this drama so so much! Every day wacthing again and again .i feel so much love in this drama.now I'm a solid fan of yoon uen hye ang kang ji hwan.my prayers is yoon uen hye ang kang ji hwan become a couple in real life.please do another drama to yoon uen hye and kang ji hwan the chemistry so perfect! debong Jun 29 2016 8:06 pm boring! Danna May 12 2016 8:32 am Love this drama! tintin Jan 05 2016 9:27 pm I love the character of Sung Joon! Kissie Nov 06 2015 8:45 am I LOOVVEEE!! this drama..so perky! (though it wasn't at the end) I can super relate to Yoon Eun Hye's character here.. lying just so to get even w/ your b*tchy ex BEST FRIEND. I love that the lead man was the one who 1st started to have feelings towards the leading lady even if she was the one who 1st find a way for them to meet again unlike other leading lady role that they'll get attracted right away if they found out that the guy is rich and all. Now that you're done in Muse Dress, hoping you'll soon be back in the drama world w/ a good script and a great leading man. Pls consider acting w/ Yoo Ah In. You're both great & passionate in acting so you'll make great and charming pair. Comment though: the only flop here is the love story of the elders and the last episode. It was like the writer got lazy to really create a good ending to the story.. it was like streeetched to fit the time slot of the drama lols.. sorry... I still watched it though sine I LOVE & adore Yoon Eun Hye so much that I watched all her dramas and come to love other K-stars as well. Hoping she'll act w/ Ha Ji Woon & Kim Tae Hee. Love them all!! ah including Hwang Jung Eum. Looking forward to your next drama. malu Oct 24 2015 11:59 pm I Missssss Yoon Eun Hye.... re-watching the drama.. I still sooo love this.. funny and entertaining.!! It's a romcom drama so for those looking for a funny, light dramas; this is the perfect one!! or you could also watch her on Princess Hours, Coffee Prince & Missing you. I hope "After Love" will be great too!! More dramas pls... just be careful in choosing the story and your opposite lead. Waiting for your next drama unnie. Fighting!! tel Sep 05 2015 2:54 am I love this drama though it wasn't that perfect but since Yoon Eun Hye is the lead I still watched it several times,this could have been perfect if the ending was a bit perky and wasn't streched + less the love story of the elders. Nevertheless, I love all your work Yoon Eun Hye since Princesss Hours, Coffe prince, My Fair Lady & I miss You.. 'be waiting for After Love. Hope as well that you'll get paired up w/ Joo Sang Wook oppa or Seung Song Heon; I don't care if he already has Liu Yei Fei lols.. This is certainly not my favorite k-drama. I did love these two leads in the Princess Hours though ... Favorite k-dramas so far: Cheongdam-dong Alice, Boys Over Flowers (There are others, but these are the two that come to my head first). umunie Jun 12 2015 2:08 am I watched this drama quite recently and I can't understand why the rating was'nt good in korea.. I find this drama funny, romantic and entertaining.Both YEH and KJH acting are superb and their chemistry is great. Both actors became very popular and their fan base increased in my home country when this was shown on the local channel in 2012. I heard this was an internet success too. emmchi Jun 03 2015 9:54 am I love all of Yoon Eun Eye dramas. Got to know her and Gong Yoo from Coffee Prince, the best. I don't know why some of her dramas got low ratings, but I am American, and very rarely rewatch shows, and I have seen all of hers several times, she's an excellent actress. 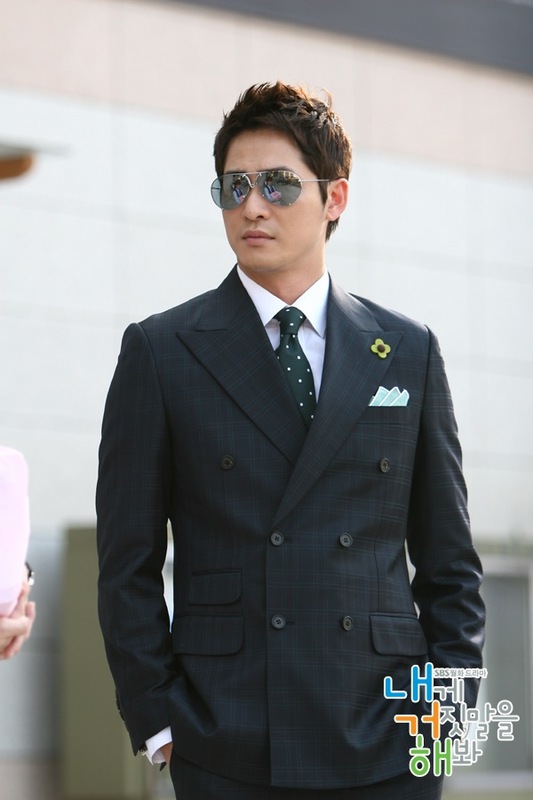 Kang Ji Hwan is also really good, saw him in Rough Cut and the Agent Girlfriend movie since watching him on Lie to Me. I found this series very enjoyable, as much as I did CP, Vineyard Man, My Fair Lady, I Miss You (this one was so beautiful and sad, the child actors were also incredible), Goong, Marry Him if you Dare. I would love to see her and the Taiwanese actor Chris Wu work together. Toyangbags Apr 21 2015 12:32 am i watched this drama like 5x already and still in love with this romcom. You can see the natural and incredible chemistry between the two leads. hoping they will get teamed up again! sandra Apr 16 2015 6:47 am This is one of the first kdramas ive seen, and although its not the best, story-wise, it has the cutest romantic scenes i have seen in all the kdramas ive watched so far! Really! Rom com fans, watch this! Kang ji hwan and yeh were great in this. Ga Ga Apr 02 2015 7:43 am Boy oh boy Sung Joon is one hot actor. Though the kissing scenes were out of the world and pacing and comic timing of the actors were excellent, somehow I was not fully convinced by the attraction and love portrayed by the lead actors, according to me the Sung hoon looked more compatible with her than Ji hwan. Still I kept watching this drama for Sung joon. Now I'm off to watch rest of his works. I have a new crush! anjelly Feb 26 2015 10:49 pm I want a Season 2 of Lie to Me... the same cast and the same Character and another supporting Character, but the story is base of a New Couple Life beginner as a Parent's Life, of Mother Gong Ah Jung and Father Hyeon Gi Jun. Because Gong Ah Jung have a baby ow to Hyeon Gi Jun. I hope that to do this film drama for them again. Because I Love both of his/her Chemistry in this Korean Drama Lie to Me. Rein Feb 09 2015 1:51 pm Does anybody know the soundtracks and artists of this series? Sharon Mews Nov 07 2014 7:36 pm Did this Win any awards? It should have topped them all. Who is Lee Min Ho? He has nothing on Kang Ji-Hwan. I can't see where this has won any awards, am I wrong? love KJH @ the first sight Sep 12 2014 1:55 am I really love Yoon Eun Hye, because of her appearance and personality, and just 2 days ago watch Lie To Me, don't know how suddenly Fall in Love to Kang Ji Hwan..
Ouw.. Please..Please somebody (Director, Producer, or Writer, etc) make the sequel of Lie To Me, or make new drama just for KJH and YEH. Hope KJH and YEH in the real life will be a MFEO couple forever. Ahsia Jun 30 2014 10:11 pm Can someone help me find the name of the song in episode 7? It’s around 37:51 when Ah Jung and Ki Joon pass the bench where the blossoms are falling. I think it’s by a Korean female artist. I’ve looked everywhere, but I cannot seem to find it. Michelle Valencia Jun 19 2014 10:31 pm Season 2 please!! I don't want Kong Ah Jeong's and Hyun Ki-Joon's love story to end.. please!! Karen Jun 12 2014 10:46 am I started watching this show last night and was immediately drawn in. Before I knew it, it was 6am and I had already watched 5 episodes. I absolutely love the chemistry between the two leads and the humor that comes from this young lady feeling the need to lie to fit in with her high school classmates. Althea J May 06 2014 3:01 pm awesome shows, loved it! kchyun Apr 23 2014 11:40 am Watched this drama for the 4th time around! ♡ ♡ Such a good drama! ephie Apr 20 2014 9:43 pm OMG..I love this drama so much..Love it all..the story,characters,settings..It's funny but romantic. ephie Apr 20 2014 7:09 pm OMG..I love this drama so much..Love it all..the story,characters,settings..I've been watching it three times,and maybe more..and it's still interesting..I do hope there would be Lie to Me season 2..
dadz Feb 08 2014 5:14 am . . .. who said that the first three episodes are boring? . . . . it's absolutely a crazy drama. . . . i can't stop laughing when i started watching the first episode until the 8th . .. . . right now , i'm still watching it . . .. it's great . . . . .
rhoejie Jan 05 2014 9:45 pm agashi kang haena your face is beautiful(*_*)! maira Jan 01 2014 7:11 am Sung Joon oppa!!! your face is like my boy's. Love ya!!! Chick Dec 18 2013 9:56 pm Favorite scenes: the karaoke duet, the coke spray and the drunk scene with the father---that was too realistic, These two seem to have some chemistry so I think that helps a great deal. It's a drama worth seeing over and over. Vic Dec 14 2013 12:55 pm I've watched all episodes 3 times now, and just love it sooooo much!! It was after digging deeper did I learn that Korean shows like these are essentially mini-series, and they film the whole thing all the way through. Only when there's huge demand would they do a part 2 of a series. I really hope there's a lot of pressure for part 2 for this show. I can totally see that there's still a lot to see with those two. We know it isn't just a simple "happily ever after with them" even though they love each other. We know she doesn't want to quit her job, but his status almost requires that she make a lot of sacrifices. I'd love to see how that all works out. Please... film a part 2!!!! ishi Dec 05 2013 11:46 pm part 2 please! i really love this drama and watched it a dozen times. hope that lie to me fans wish for a part 2 will be granted. Katherine Oct 04 2013 2:05 am Part II please? :'( One of the best K-Drama! Renee Fiquet-Freeman Sep 27 2013 8:32 pm I am a 58 year old American and I think this is a cross between the old movie(PBS-British) Pride and Prejudice and the older movie "Sabrina" with Humphrey Bogart on steroids. The creators of this most honorable and sincere series deserve a huge kudos for devoloping the tension of true love and the "sacrifices" one wants to make when truly in love. This was refreshing and delightful series that I would watch again and I am not of the generation that watches movies over and over. VERY rarely would I do this. I loved the honorable saying and quizzicle attitudes of fate. Most thankful for this fare, so refreshing from the romance of American series. R Ps. It is really a lack of cultural awareness that says this, but this is the first time I have ever thought the Korean people were beautiful!! maricel Aug 28 2013 9:18 am I always watched LIE TO ME hope to have a part 2 of this drama.I like the two of you as a couple.I wish you became a true partners in real life,your the one & only korean celebrities that i like,your so handsome & eun hye is very beautiful.I want to have a DVD of this drama, but its not available here in the philippines. irellor Aug 23 2013 9:12 pm just finish watching this drama, i loooooove the story so cute and feel good story. i wish there's more because i just cant believe that i already finished this drama i want more.. want to watch it again..
farah Aug 13 2013 3:40 pm to watch or not to watch. . ?? wolf fang Aug 04 2013 8:44 am oh ikang ji-hwan your so cute and handsome playing in lie to me. Plase oh please make a part two.I wish i can be by your side all the time but it will never happen so i hope you and yoon eun hye are a good couple, your pefect for each other. Yoon eun hye your really pretty and i hope you make a part two and i hope you and kang ji hawn are a good couple. Begging you to make a part two pretty please, kang ji hawn you were cute funny charming handsome good looking and of course responsible in lie to me, keep up the good work. Saranghae oppa. msPeachy Jul 09 2013 9:57 pm Very funny and sweet drama, but the last few episodes were not that great. ijay Jul 07 2013 5:02 am This drama is the most awesome Korean drama ever..i love it so much and I keep re watching it....you guys are awesome. I love u guys so much..
computer repair Jun 22 2013 6:50 pm Keep researching what types of services are being provided not only by other Scottsdale (AZ) computer repair companies but companies around the globe and see if you can provide any of the services which are not being readily offered by the companies in Scottsdale. You do not want to sacrifice quality for a lower cost. Both of them have wide selection of graphics cards that are especially designed for laptops. zee25 May 13 2013 2:29 am this drama was really cool and i enjoyed it all the way. their love was so touching oh i wish. I love this drama it's awesome >< But I always wonder what film they show there in episode 7 because I think I've seen it somewhere else already ?? Lynne Jan 23 2013 1:19 pm Love this drama so much, from the start up to the end, it's because of Yoon Eun Hye, my favorite idol!! !...watching it for the fourth time, can't get over from this drama...I also love singing the 4 ost of this movie, I can't believe i've memorized them...."Pouring Rain", "Blue Night in Jeju island", "You are my Love" and most specially "Lovin' Ice Cream" cause it was sung by Yoon Eun Hye and Kang Ji Hwan themselves. Apple Oct 21 2012 6:58 am Got addicted to this Korean Soap. I like the cast! Kori Oct 15 2012 3:58 pm Why did they not make another season. They can't do this to us. We need to know what else happens. This is cruel and unusual punishment. Erwina Oct 13 2012 6:05 pm so addicted to this drama. . .
i want to see their wedding. . .
Part 2 please. . .
vanessa Sep 28 2012 7:58 pm i love the cute relationship between them. i love the chemistry they brought to all the viewers. i hope there is a part2 of this series. i love to watch it again and again. more power and god bless. aimee Sep 21 2012 5:59 am i so love their chemistry. I've watched it for the nth time and cant have enough of this series.they're so addictive.especially love the kissing scenes!they look good together.i was wondering, how come they have lowest rating when in fact the story line is great, the cast were definitely superb.part 2 please!!! anne723 Sep 08 2012 8:42 am Hello pls PART TWO ON LIE TO ME the teleseire is so great ..a very romantic comedy....AND hwan-yhe tandem is perfect..Hope tere will be part 2 please... Tje cast cast .writers and the directors are all great .. a very good script..congratz..
chaze Aug 24 2012 8:47 am I Love "Lie To Me" .. but i haven't seen the wedding.. :(( .. Hope there will be part II???? .. More power to the show! Cath Aug 23 2012 10:54 am I love LIE TO ME!!!!! I love Kang Ji Hwan and Yoon Eun Hye Loveteam!!!! They look perfect for each other!!! Hoping for LIE TO ME Part II!!!!Please!!!!! TRISTA VIDA Aug 22 2012 11:48 am so much inlove with this drama, not only the stars but of course the story itself. so much love KJH & YEH love team!!! hope to see more k-dramas with their team-up or a part II!!! Verdance16 Aug 20 2012 4:24 pm Lie to Me is the best Korean drama!!! Watched it several times in Netflix and Hulu and never gets tired of it! Great chemistry between Kang Ji-Hwan and Yoon Eun-Hye! They make me laugh, cry and melt my heart. Great casts overall! More projects together for the lead stars! May not have rated well in Korea but this series is definitely WORLD CLASS! Any culture from any parts of the world, especially here in the US of A, loves this K-drama. More projects for the 2 together! Edith Aug 18 2012 4:53 am I love this "lie to me"drama so much!!!! Please do part 2 with same casts...Yoon Eun Hye and Kang Ji Hwan, you are great. You blend well and move my heart with this drama. I feel what you act and say...bravo! tess Aug 15 2012 10:41 pm Wow! what a pair...i love very much the drama ...I watch it again and again on line...Hoping there's another team up of Yoon Eun Hye and Kang Ji Hwan..Their loveteam is compatible. Goodluck!!! brielle Aug 14 2012 8:26 pm Please produce part II of Lie to me. I love kang ji hwan and yoon eun hye. Congratulations to LIE TO ME Production. kimgabby Aug 14 2012 8:23 pm one of the best korean drama i've watched. i congratulate the writers, directors, producers, actors, actresses and all the casts and staff of LIE TO ME. You did an excellent production. My family and friends really love the lie to me drama. We want more. we love kang ji hwan and yoon eun hye. we want to see them together in LIE to ME II or other drama or movie. More power. ariane shyne alforque Aug 07 2012 4:53 am i love ''Lie To Me'' talaga....nakaka adik....maganda ang kanilang chemistry....!!! Darlyn Loveres Abuan Aug 04 2012 8:58 am LIE TO ME!!!! this KOREAN DRAMA is excellent!!! Beautiful Love story!!! Very excellent.. I and all of my friends really really like it!! SUPER!! we love Kang Ji-Kwan and Yoon Eun Hye! <3 <3 <3 I really Love this Drama ever!!! <3 this drama is number 1 in Philippines and in our Hearts!!! liz Aug 02 2012 2:52 pm i like the story of lie to me. the two lead characters are very talented. they are very very good actors. they are perfect match. they blend together. aldwin Aug 01 2012 9:55 am i am not a korean, i seldom like asian things. i am asian. this is one of the best. fits my likes. plus the artists did very well. madel Jul 30 2012 7:08 pm i really love this korean drama, I finished this movie in 2 days..I'm so addicted with this movie. deserving to have a season 2..
HwanHye Fighting Jul 29 2012 11:49 pm So nice!!!!!!! diane Jul 28 2012 9:35 am part 2 please.... fighting!... i really like the tandem of the 2 main character... they look good together...AJA! Cynthia Jul 27 2012 9:04 pm Finally, a Korean drama where the lead actors know how to be passionate when scenes demand of them to be passionate. I mean they finally know how to kiss and hug with so much ardor. Their characters were believably and convincingly in love and the painful moments that they had to go through were moving. I really like the chemistry between Yoon Eun-hye and Kang Ji-hwan...kudos to them! roger Jul 26 2012 6:47 pm yoon eun hye you are the best! no matter what are the scenes you can easily carry it! you are so cute,beautiful and lovable. youre such a epitome of a korean woman. 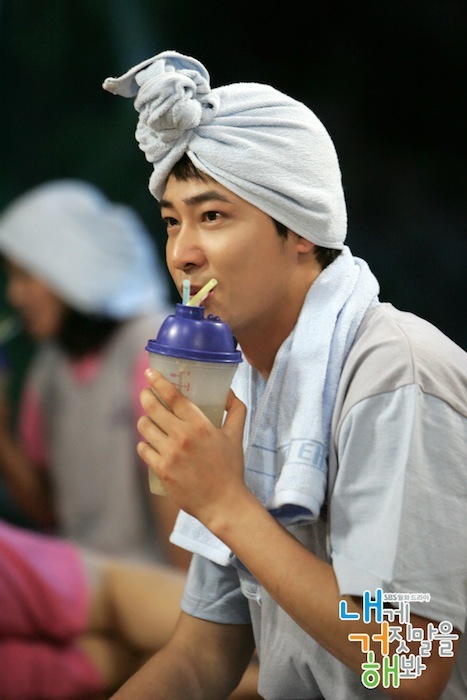 i love every scene the coca cola and from the jejung island when you are wearing the dress given by kang ji hwan. part 2 pls, i love you yoon eun hye! chennie Jul 22 2012 10:34 pm kang ji hwan and yoon eun-hye your such a perfect couple. i hope i will meet you soon ..
jennel03 Jul 22 2012 2:14 am A beautiful korean drama that makes me laugh and fall in love in every episodes. Yoon Eun Hye and Kang Ji Hwan are great love team..
Im still hoping for the part 2..
REG Jul 17 2012 10:38 pm I've never been this addicted since I started watching Korean drama 8 years ago. Lie To Me may not be as superb compared to Korean period dramas but what makes it great is the fact it makes you feel good. I instantly became a fan of Kang Ji Hwan and Yoon Eun Hye...... terrific chemistry! Don't you guys think they are "lying" to us? It's no longer acting... their scenes look natural, so real. I will not get tired watching KJH & YEH... in fact I want more of them! So, I join the rest of Lie To Me / KJH &YEH fanatics........ Part 2 please!!!!! gideon Jul 16 2012 4:46 am wow!! the story is amazing!! it wont let you bored as you watch it every night and it really deserves a sequel and i hope they are making the part 2!! pleeeeease!! congratulations to the lead cast all the way down to the crew members. thanks for making us cry and laugh.. we love it!!! one of the best koreanovela that ive ever watched..
the protagonists in the story are very good.. KANG JI HWAN & YOON EUN HYE lookd good together.. their chemistry is awesome.. PART 2!PART 2!PART 2! Niña Agustin Jul 14 2012 6:03 am We are strongly demanding for a season 2! please start working on it. Lie to me really deserves a part 2 than any other korean drama. Because of the good actors and actresses. especially, kang ji wan and yoon eun hye. :) please try to consider what the public wants. I am very sure, LIE TO ME SEASON 2 is going to be hit the top in ASIA! Leilani Jul 12 2012 6:30 am Season 2! Season 2! Season 2! grace Jul 12 2012 1:45 am i finished the whole episodes in 3 days.. imagine how hook i am in this korea novela.. this is the best of all the korean novelas I've ever watch.. hope to it would have a part 2 of it... i love you so much kenneth (phil.name of kang ji-hwan).. and ms.. angela gong (ah-jeung).. super nakakalig ung team up nila.. ang bagay sila in real life..
grace Jul 12 2012 1:41 am best ever korean novela i've ever watch.. hoping that there will be a part of it.. for sure.. every body will support... this is the best.. ILOVE THE CAST. Chenelope Jul 10 2012 8:14 am I can't stand the kilig moments! Kang Jin Hwan & Yun Eun Hye are great couple. Ang lakas ng chemistry nila, kakain-love!. The most unforgettable moment is their "Coca-cola Kissing scene". Part 2 please !!! Chati Jul 08 2012 11:43 am hope there will be a PART 2 for this soon! lhen Jul 07 2012 8:50 pm i thought aq lang ang hindi makaget over sa lie to me. Im happy to know n hindi lang pla aq nag-iisa. i watched it over and over again but the excitement and kilig still the same. Love q n c Hyun Ki Joon. aizchel Jul 07 2012 7:56 pm i love this show.. and i love kang ji-hwaan i hope 2 see in person and i hope the cast of lie 2 me will visit here in the philppines..
Mai Jul 04 2012 6:14 am So far, this is one of the best Korean dramas I've watched. In my opinion the whole cast is fantastic. Everyone did a very good job in doing their respective roles. Great story, the twist and turns were perfectly done. Once you start watching it, you'll get hooked until the end. Two thumbs up!! jenniefey Jul 04 2012 5:03 am hindi nakkasawang panuorin...kakakilig ung character ni Kang Ji-Hwan	Yoon Eun-Hye... natural ang chemistry.... sana may part2!! tootsieyummy Jul 04 2012 4:47 am I dont know where to begin...all I can say is that I love Lie To Me. Yoon Eun Hye is such an amazing actress! She is able to bring out so many facial expressions and is very charming. I admire her because she is one of the very few actresses in Korea, who can carry a drama. She doesn't need to be paired with an overly handsome and popular actor because she can hold her own in acting and popularity. Compared to her male lead Kang Ji Hwan, her role is much more difficult to portray and I can;t help but notice that it is much more easier as a handsome actor to win the female viewers hearts, because it is a fact that male actors get more credit than the female lead just for being hot! I am not saying that he isn't a good actor, however, I feel that female leads dont get as much credit like the guys no matter how good they are. Yoon Eun hye had to to act wacky, serious and also cry a lot but she delivered all those emotions top notch! I noticed that even her eyebrows have different expressions,lol! So credit to her for an amazing performance. Kang Ji Hwan and Yoon Eun Hye had such combusting chemistry that watching them almost makes my tv screen explode! Watching them gives me goosebumps and makes me feel like a teenager all over again. athan Jul 02 2012 8:32 pm .. after coffee prince and enless love... i loved this drama, the fact that im not fond in watching dramas, but this make me sticked to the tv. bluebenj Jul 01 2012 10:38 am Watching the drama for the second time and still watching it on GMA. Lie To Me is more than just a love story. It is a drama that has taught its viewers an important virtue: the virtue of honesty. When the couple decided to forget the things of the past and started all over again the right way, the story has become more powerful. Superb acting of Kang Ji Hwan and Yoon Eun Hye also added to the beauty of the story. The supporting ones were also good. Lie To Me has imparted to its viewers that honesty is still the best policy. Got inspired from Ah Jeong's character who is a civil servant. I hope all government people especially here in the Philippines as the same mindset as hers. That honesty is the biggest virtue not just of public officials but of everyone. Nice locations. I really dream of visiting South Korea someday and the first on my itinerary is Jeju Island. Nothing but thumbs up for Lie To Me! (The preceding comment has wrong grammar) Sorry. Lie To Me, fighting! Gamsahamnida! Carolina Jun 30 2012 3:12 pm I Really LOVE and ENJOYED watching this k-drama !!!! Lie to me was the first k-drama I have ever seen !!! I immediately fell in love with it !!! This drama is the best I have ever seen !!! I don't understand how my friends don't see this!!! I wish they continued withh more episodes!!!! Also they should totally make a 2nd season!!!!!! I will totally watch it!!!! Also I stayed up all night watching it!!!! Please please pretty please continue it!!!!!!!!! ian Jun 29 2012 10:58 pm daebak ! ian Jun 29 2012 10:57 pm one of the best kdramas ever after the fever was lost since 2005.. this drama brought back the feeling of getting "hooked" i bet many felt it too.. this drama was like a spin off for 2004 mega hit kdrama lovers in paris..
sha Jun 29 2012 4:29 am chemistry between lead actor and actress - amazing Jeju Island, South Korea- splendid If it does not have good rating in Seoul or any parts of South Korea, I am very sure it does in the Philippines. This Korean drama really promotes tourism... I will be going to Jeju Island for a visit!!! Mchii Jun 23 2012 7:14 pm please have season 2!! fighting!! Season 2 season 2! Season 2! emoi Jun 22 2012 2:01 am I LOVE IT.. It should have part 2 to prove that it is the best K drama. Angela Jun 08 2012 10:31 pm I'm really enjoying this show. I don't know if other Korean shows are this good, but I've found myself not wanting to to bed to finish watching the next episode. I found myself looking up information regarding Korean language and thinking I would perhaps want to go to Korea on vacation. It looks lovely. I love the chemistry of the actors. I've enjoyed waiting to see how the characters grow and develop. Of course there is predictability, but it's a love story. I think the writers did a great job. Thanks for a great show and thanks Netflix for having it available for me to watch. brenda May 29 2012 3:52 pm I loved this drama. It was my first Korean drama. While one could say, that it was predictable (what love story isn't) there were so many positives about this story. For me, if the story touches me, if I believe these characters could really be in love, if I can relate to a few of the experiences, and if a story makes me want to learn more than it is worthy of my time. I read somewhere that the main actor was embarassed by the low ratings. Somehow, I think the people of Korean didn't get what we saw evolve on screen. It made me look up why only certain people can say Yeobo. It made me want to learn more about Korean culture. We saw two people who touched one another, one who become more mature, one who let the kid locked inside come out. Who hasn't wished ANYONE (even a stuffed animal) could tell you what to do? Who hasn't stared at their cellphone wishing their new love would call/ text. And who hasn't had doubts that a past love could disrupt the relationship. Who hasn't had to make hard choices about what is right and wrong and who hasn't been, at some point, willing to put everything into doing something for someone else; just because you want them to be happy. Yes, this story had some flaws, it had some continuity issues, and it needed a little character development. But, at least here in MI, it made us remember what it felt like to be in loved, to be loved, and to be hurt. It made us want to learn more about Korea and to visit the lovely Jeju island (first after I visit Saipan). How many TV dramas can say that? Jhenn May 14 2012 1:32 am Why is it that almost all korean series has bad or poor translation when it already comes to its last 3-4 episodes! That should be the climax and the most interesting part where the viewers can be able to imagine and foresee or even may feel the story, but, it becomes disappointing and disgusting because of its subtitles. The production must assign the best translator to every episode and most especially to the ending. Pls?! anggia dita octa May 07 2012 5:43 am I'm very like this film..I'm your fans from indonesia,,pleass next time actris n actor lie to me comming to indonesia cey..
hata May 01 2012 2:19 am Hi!kang ji-hWan @ yoOn eun-hye For mE the BeST k-DrAma is lie 2 me..both of U is deservE to becOmE a SuccEssful actress@actor And i hope someDy u have an 2nd projEct or bECoME A REal couple.....!!!!!!!!!! che Apr 30 2012 11:41 am i don't why their fellowmen did not patronize this kind of drama. it's so nice and the two lead stars has chemistry!! they seems real-life lovers.. i really love lie to me!!! i will not get tired of watching it over and over again!!! i love eun hye ang ji hwan!!! Jonah Apr 26 2012 5:14 am for me Lie To Me is the BEST!!!! it's rare to see a plot that even though they say its predictable, Its way, way different from the common love stories we have today. and where can u see an intense love chemistry between two strangers who just met? Babs Sheppard Apr 22 2012 12:25 am Lie to Me is the absolute best K-drama I have ever watched, and I have watched plenty. I can't get enough of it. Although it's 16 episodes,I've watched it several times, it's always worth the watch. I don't understand why the ratings were low in Korea. I heard it was because it was predictable. What good love story isn't. Perhaps some of the viewers enjoy sad endings; it's enough sadness already in the world. Personally I prefer happy endings, I gladly welcome this height of entertainment any day. I can't say enough wonderful things about this drama. It really rocked! Hats off to the writers, producers, directors, actors and crew!. I always post it on face-book! ummi7174 Apr 19 2012 10:39 pm just three word : I LOVE IT. Because the love story is mature and palpable, they just don't fall into assumption and just don't give up for someone they love and love them back. Really, I LOVE IT. Sam238 Apr 16 2012 2:57 pm I just finished watching the entire 16 episodes & i love it.. I would rate it as 9/10. Initially, i thought i'd get bore with it. But it didn't. It has no hassles, no complexities but it will touch your heart. Casts were very good in their roles & locations seem perfect. I've been watching few korean dramas, but this is my first time to notice the female lead to say in return, her love to the male lead. SummerScents Apr 07 2012 3:51 am Predictable? What Korean drama *isn't* predictable in regards to the main characters falling in love and ultimately getting together at the end? So in that sense, predictability shouldn't be why one doesn't like this drama. I love this drama series because it is quite simple. If you remember any popular drama-series Full House, My Girl, Goong, (and the list goes on) you will not even be able to remember half of the twists and turns predicted in every episode. It is EXTREMELY annoying, knowing as soon as one conflict is almost solved, another occurs to split the couple apart. I liked this drama series because it is much more moderate in their twists. For some reason people disliked this drama for the same reason? Also I loved it because the last episode was interesting to still keep the viewer waiting, because I personally get to the last episode of dramas and am horribly irritated they pick up after 2/3 years, and immediately become happy/couple-y and the rest of the hour is just lovey-dovey? This drama is much more realistic, and it actually is a mellow version of a melodrama (especially compared to Princess Hours, extended how many episodes again?? I love the drama but I would get tired of twist after twist and oh-so-much crying because of the complications). The chemistry between the main characters seems absolutely realistic. I also love how there isn't an excess drama of a third-person in their relationship and it focuses more on issues the main characters face as a couple. Absolutely recommend!! rainfairy Apr 04 2012 5:22 pm well im so into korean dramas that i dont care its cliche or not0.kang ji hwan and yoon eun hye are so cute and funny.the kiss scenes melted my heart. but story was kind of repetitive not the whole part but most of it.but im enjoying it. and i must say sung joon is so hot.im falling for him. VT Mar 30 2012 1:03 pm My husband and I watched this at netflix yesterday (marathon from episode 1-5). We loved it. It was hilarious. Good acting and good story line (everybody is related). It reminded me of Pride and Prejudice- Asian version. The leading lady resemble an actress in 'Snowflower and the secret fan' movie. Will definitely check the others series being mentioned in the comment after finishing up this series. hangul Mar 29 2012 11:18 am im a big fan of korean drama madami nakong napanuod at masa2bi ko sa pagkilatis ng mga ito sori ha d masyado nagusthan ang drmang ito maganda cia nung umpisa pero prang na sa bndang gitna masa2bi mu kcng maganda ang ang isang drama pag nagiwan ito ng marka. adikkayeunhye Mar 11 2012 4:06 am yoon eun hye was so attractive here..di masyado flashy yung mga suot niya pero may aura talaga siya na nagugustuhan talaga ng tao pati yung character niya dito naaaliw ako.. Miss Eun Hye ang chick mo naman impossibleng wala ka boyfriend..sino kaya yun? si Kang Ji hwan kaya? hehe.. ang swerte naman niya..sana akin ka nalang.. kahit mas bata ako sa'yo ng 3 years, okey lang, mamahalin kita habang buhay..i hope you make more dramas..i love love you! lie to me super fan Mar 05 2012 4:08 am ratings are low? gosh this is better than other korean drama who has high ratings! and the casts are so good in acting! especially kang ji hwan I fell in love with his character! lock0n Feb 26 2012 12:17 pm galing!! !kung kelan ako tumanda tsaka pa ako kinikilig...LOL..idol ko kasi yung babae...lahat ng kdrama nya panoorin..god bless and more power..
Gasenadi Feb 21 2012 11:44 pm This is the drama that started my quest for Kang Ji Hwan's work and boy, it's been fun! What a great pair in this. 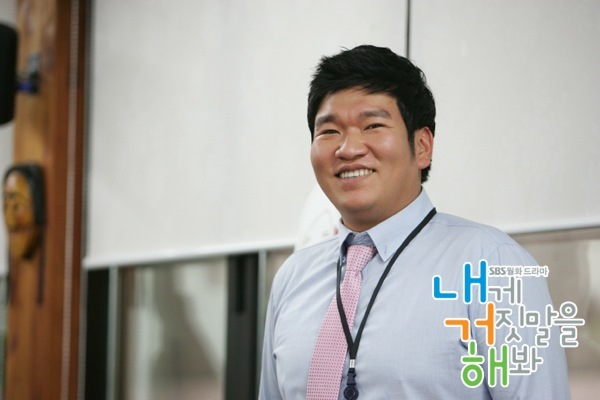 FINALLY a CEO that looks like a man and not a boy. FINALLY a CEO that works instead of sitting at his desk daydreaming about the leading lady. Also began my quest for Yoon Eun Hye's dramas. I love her work also; especially her portrayal in this and Coffee Prince of hard-working, everyday women. And the actress Hong Su Hyun as the irrational "friend" is superb. Frank Nov 26 2011 1:51 pm Aigo!!! This is the only Korean Series na nagpakilig sa akin ng sobra!!!!... from the Story... Cast... to the soundrack!! PERFECT!!!!! Hats off to LIE to ME!!! cleo_sleepyhead Nov 20 2011 6:46 am i really love this drama. it was so funny and i laughed a lot..i love the cola kiss and lovin ice cream. the soundtracks were great too, i even downloaded them even though i don't understand them. lol :) the story was nice at di masyadong heavy. nakakasawa na rin naman yung mga heavy dramas, nakakastress lang..haha..light lang sya and all you have to do is enjoy...really really love this drama. even watch it over and over!! it's just sad that the ratings were low,,,i don't understand why the koreans didn't like it much, it was really great...anyway, i support this drama!!! !HOPE IT WILL GAIN MORE POPULARITY OVERSEAS!!! cam-eunhye Nov 16 2011 12:30 am s COFFEE PRINCE at MY FAIRLADY q naging idol c eunhye .. sobrang ganda nya talga ..! at sna pmunta sya d2 s pilipinas at mkita q sya s personal ..
Anna Nov 14 2011 2:06 pm This is the 3rd kdrama I have watched (after Coffee House and Coffee Prince), and like the other 2, I thorougly enjoyed it. I really think that Yoon Eun Hye is an extremely accomplished actress. She is able to convey real emotion which is very believable, and has such a sweetness about her, that it is hard not to like her. I will certainly look out for her roles in the future. weeeee Nov 12 2011 8:14 am Just Absolutely Great!!! karlita Nov 01 2011 1:44 pm DON´T KILL ME, BUT I DID NOT LIKE THIS DRAMA, THE STORY IS GOOD TILL CHAPTER 10, BUT THEN IS BORING AND REPETITIVE BUT BECAUSE OF THIS DRAMA I BECAME A FAN FORM SUNG JOON, BEAUTIFUL SMILE ñ_ñ. josie Oct 30 2011 7:11 am parang tanga naman yung nasa comment#86.. haha. epal! bang2x Oct 24 2011 9:11 am i love korean drama and lie to me is my next fav after coffee prince because i like yoon eun hye how i wish to have a fairy godmother and ask me what is my wish ....then i will ask her to be come yoon eun hye even just for one day. Renny Sep 30 2011 12:52 am Aigo!!! it is trully great story... i'm so exited to see Eun Hye and Kang Ji Hwan as real couple,,, they are really perfect!!! clsf Sep 19 2011 8:52 am love this drama, becos of it i have fallen for yeh. the most realistic kdrama, yeh acting really brings you into ah jung world, her close ties with her father, competition and alliance in office, friendship and love life, all very real and can relate to. ACGP.ALLEN Sep 19 2011 12:49 am LOVE LOVE LOVE it!!! meijie Sep 17 2011 3:30 am i love the drama! Yoon Hye and Ji Hwan look great together. I hope they will make more dramas paired with each other. Meg Sep 05 2011 3:04 am What a cute drama. I actually liked that the drama didn't end when they became a couple. It showed more about them when the most dramas end up a couple 2 minutes before the entire drama ends. I had never seen a drama that a couple kisses this much! i am so deeply touch and love it very much after watching Lie To Me , i have learned and got so many idea..!!!!!!! KJH & YEH Love is Forever .....Figthing ,,,GODBLESS both of you,,,more power on your career...!!! we want to see in LTM 2...! gambatte ne ....!!! koreanaheadoftime Aug 27 2011 8:21 pm Lie to me is a really good drama with a really good cast. Firstly, unlike many other dramas, Lie to me portrays love as something pure and not lusty. It feels genuine with the script plus the actors imput, Although some may argue there isn't a common thread throughout the drama, I feel the lack/ or not lack of it, seems to make the drama a lot more realistic and relatable in a lot of ways. With this, the fabulously talented cast really make each and every character stand out and push the plot to it's maximum. Hope you guys would check it out and enjoy the drama! hanae yamashita Aug 20 2011 4:47 pm Extremely boring.. NO plot whatsoever. I still wonder how they have managed to extend it for 16 episodes. I love both Kang Ji-Hwan and Yoon eun Hye, it's pitiful how both their talents were wasted on this. miko Aug 08 2011 12:11 am ohhhhh myyyy gosssshhhhh!! !i just so love this drama series..even my mother watched this OVER AND OVER AGAIN!!! i cant get over with Kang Ji-Hwan & Yoon Eun-Hye!! they sooo looked goooood together...it seemed that they are not acting at all during the sweet scenes!oh how i wish they are really couple in real life...ARE THEY????? ALIYAH Jul 31 2011 7:05 am I Love this Series so much! I want to be Gong Ah Jung ! I want her life to be my life in the future ! I Love it so much ! Looking forward to the LIE TO ME PART 2 Fighting ! su-jin ;) Jul 30 2011 6:18 am omo! i want part 2 of lie to me. :)) i want to see their wedding! e Jul 15 2011 3:58 pm this drama really awesome ! I think d'storyline going smooth not easily changed in every scene..
Sasha Jul 08 2011 5:42 pm Omfg i luuuuuuuuv this.drama. this reminds me why im hooked on korean shows. Eun hye and Ki joon look absolutely goreous. Im so madd ithad a rush ending though. marilyn Jul 04 2011 7:43 am the first time i've watched Kang Ji Hwan... in Save the Last Dance for Me i felt that the guy has such a charisma... and when i've watched Yoon Eun Hye in Princess Hour i began liking her too... this couple is really great! if not for a second project how i wish they could become real couple. Kim Jun 22 2011 2:13 pm What is the name of the song that's playing at the end of episode 13/beginning of episode 14? Joyce Jun 21 2011 6:44 pm Love this drama. Love the spark between Kang Ji Hwan and Yoon Eun Hye. Always looking forward for the next episode. Hope that there will be good ending for the couple. The storyline may be very normal but because of Kang Ji Hwan and Yoon Eun Hye, it made the storyline romantic and interesting. We get to see the 'silly' things that the couple will do for each other when they are madly in love. We also get to see the 'idiotic' side of the guy who doesn't know his heart until the critical time. Most importantly, the 'cola kiss'....now everytime I see the bottle of cola, it made me think of the sweet 'Cola Kiss'. The songs in the OST are nice. Thanks to the cast and crew for the hardwork for a good drama. isabella valliere Jun 15 2011 10:46 am i really love this drama... hope the best for the ending! Lika Jun 14 2011 12:44 am How do you find the credits songs? and the one playing during kiss? March Jun 13 2011 8:26 am Can anyone tell me what channel is SBS on the US? hailynne Jun 10 2011 6:32 am so love this series...it says that it has 16 eps why can i not look for ep 11-16? I HATE THE EX GF!! KoreanDramaCrazy Jun 01 2011 12:10 am This drama is great! I love watching Korean dramas and yoon eun hye is the best Korean actress. I can't wait to watch the next episode. I hope she does many more dramas or movies. G May 31 2011 6:30 pm This drama is awesomely funny! I cannot wait til next week for episode 9!! whoo hoo!! Yen May 30 2011 9:36 am Love it!!! 5/5! <3 CAN'T WAIT ANY LONGER! marie May 29 2011 10:11 am i love watching the drama and i really love yoon eun hye, she is a great actress! treefern May 28 2011 3:02 am I love this drama very much. Yoon Eun Hye is so cute. Jerran May 26 2011 11:56 pm Please make this Drama extend the ending..
drama lover May 25 2011 12:41 am I'm loving this drama. Yoon Eun Hye is really a great actress. I also like the acting of the main actor. I can't wait to see the next episode. BHUDDZ May 23 2011 9:32 pm cant wait for episode 5.its getting better and better. I hope the ratings go up.Their looks are ok to me, contrary to what others are saying.A lot of people are watching it online,its already no.1 in mysoju. michelle May 23 2011 8:59 pm This drama is a huge disappointment. The writing is all over the place. Not even YEH and KJH can save this hot mess. Besides YEH and KJH are looking pretty bloated in this. What happened to their looks? I'm so sad about this. Iz May 20 2011 3:04 am How often will their air this show? I'm from the US so I'm only able to watch it online. Is it weakly aired? And, when? So, I know when to expect the new episode to come on. I'm loving this Kdrama so far. I love the Yoon Eun Hye. And, I'm really liking the guys for far. He's pretty hot. can i watch this in any website right now? Wengski08 May 10 2011 12:57 am Wow what a pair again both from coffee dramas collide now he he he...am sure this will be heat...Mr. Hong Gil Dong finally met Ms. Gong Princess Hours...can't wait to see all of the episodes...aja fighting! SSujulove May 07 2011 1:45 am I loved sung joon on white christmas!!!! I'm so excited for this! Good luck to him! Ms.GB May 03 2011 12:04 pm OMOMO!!!!! Yoon Eun Hye AND Kang Ji Hwan!!! If I died tomorrow I'll be happy! Wait, let me watch the show first! simplyhappy Apr 28 2011 8:34 pm I'm sooo excited for this drama!!! Love Yoon Eun Hye!!!! rsim Apr 28 2011 11:08 am YEH + KJH = Lie To Me...Fighting ! micah Apr 28 2011 11:03 am im from yooneunhye.net im excited to watch this drama. hope it will be shown in thailand also. YOON EUN HYE WE LOVE YOU!!!!!!!! kristine Apr 28 2011 10:59 am im supporting LIE TO ME. This will be successful becoz YOON EUN HYE leads the drama. Shes one of korea's best actress of all time! angelmhine Apr 28 2011 10:28 am im looking forward for the success of this drama..
im supporting Yoon Eun Hye all the way! booga Apr 26 2011 11:31 am I can't wait for this. Two of my favorite k-actors.